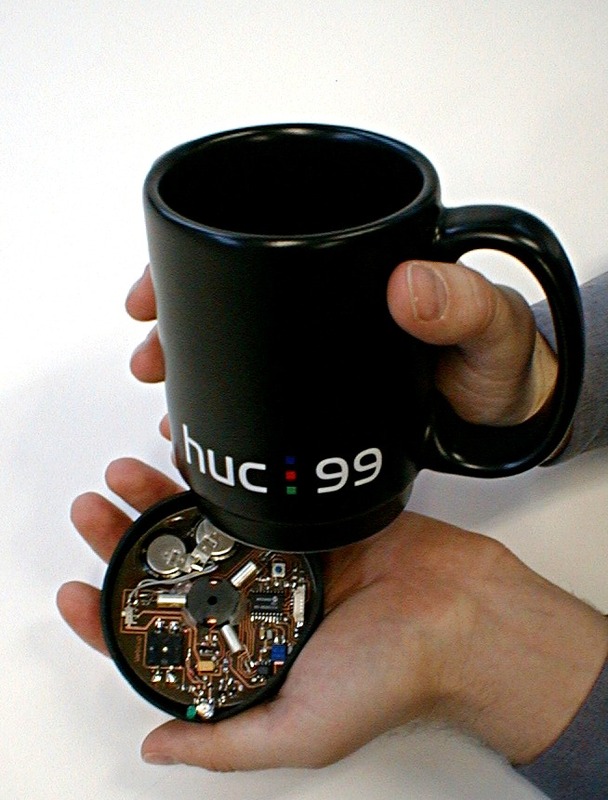 The MediaCup is an ordinary coffee cup augmented with sensing, processing and communication capabilities (integrated in the cup’s bottom), to collect and communicate general context information in a given environment. It is an example how to equip everyday objects with computing and communication capabilities. With the MediaCup setup (consisting of several cups and other equipment) we explored the added value of computerized everyday objects. The projects develops a proprietary ultra-low power infrared based communication system, a location aware routing mechanism, a hybrid location system and gains insight to user behaviour of everyday objects performing various studies.